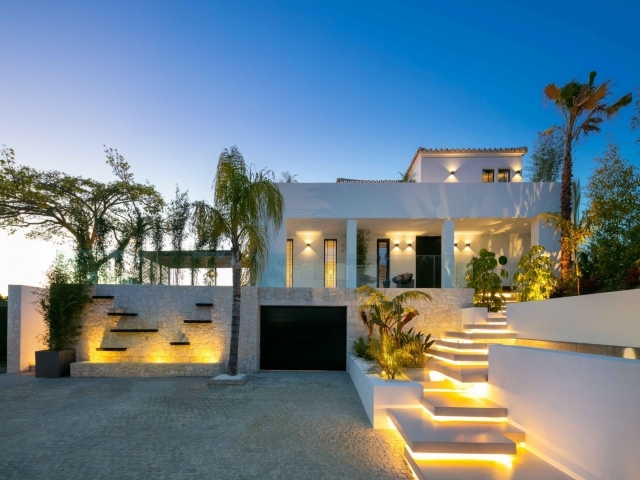 Stunning contemporary villa for sale in the heart of the Nueva Andalucía Golf Valley. 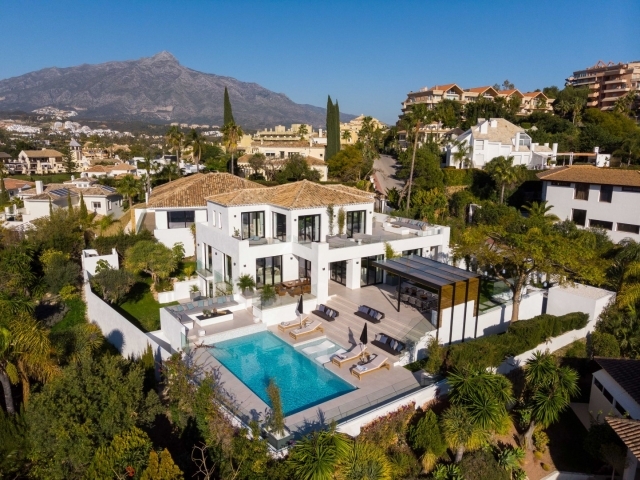 Situated in a highly sought-after area right by Los Naranjos Golf Course and just a short drive to Puerto Banus, San Pedro de Alcántara and Marbella. 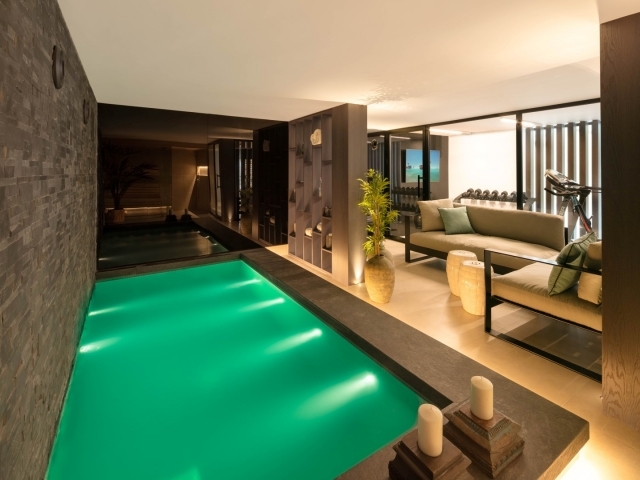 The villa offers exquisite modern accommodation distributed over three floors with a beautiful outdoor area including a private swimming pool, ample terrace space and a Bali inspired dining area. 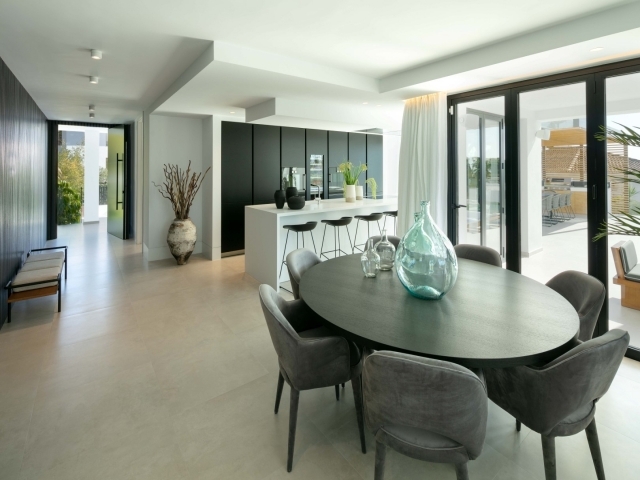 On entering the villa you are met with lots of natural light and an open-plan living space which constitutes the core of the house. The living room is conveniently connected to the kitchen, dining room and several outdoor lounge/dining areas. Two en-suite bedrooms and a guest wc complete the entrance level. 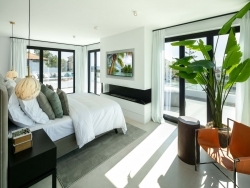 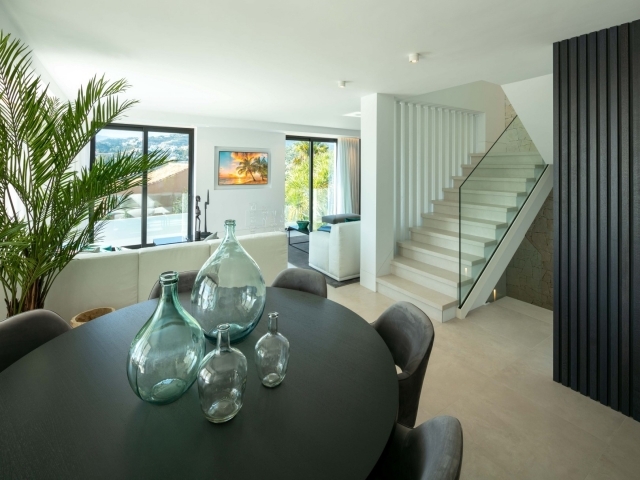 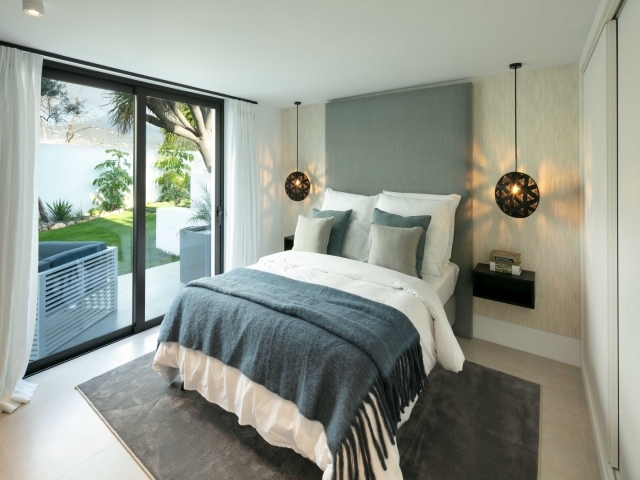 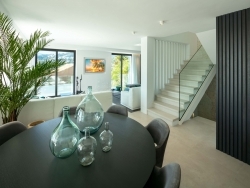 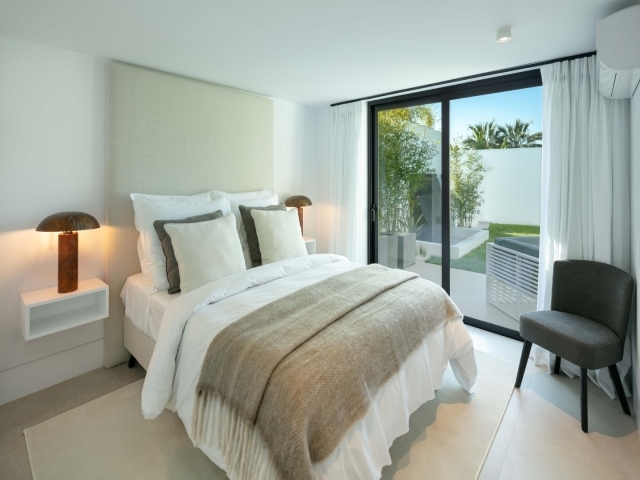 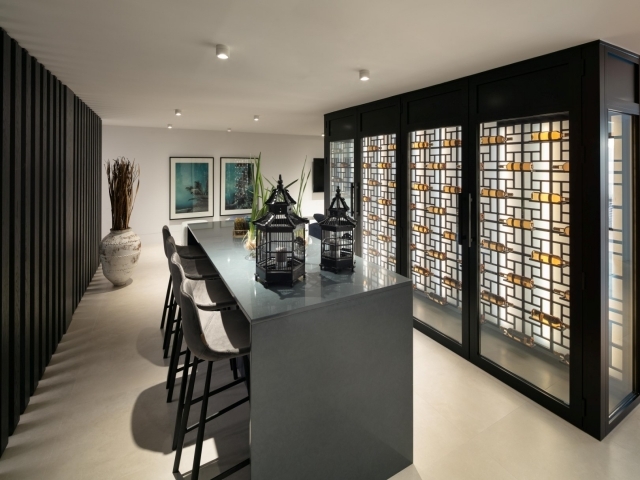 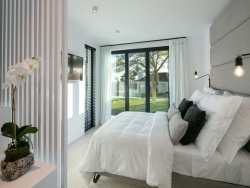 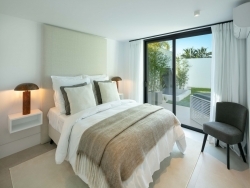 The first floor comprises a fabulous master suite; a beautifully designed bedroom with fireplace, his and hers walk-in wardrobes, a large en-suite bathroom and private terraces with impressive golf, mountain and sea views. 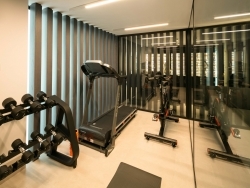 The basement level provides the perfect entertainment, fitness and relaxation zone. 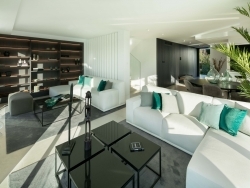 It offers a gym, spa, indoor heated pool, games room and bar area with bespoke wine cellar and TV room. Enjoy stunning sea views and afternoon sun outside on the terrace by the pool. 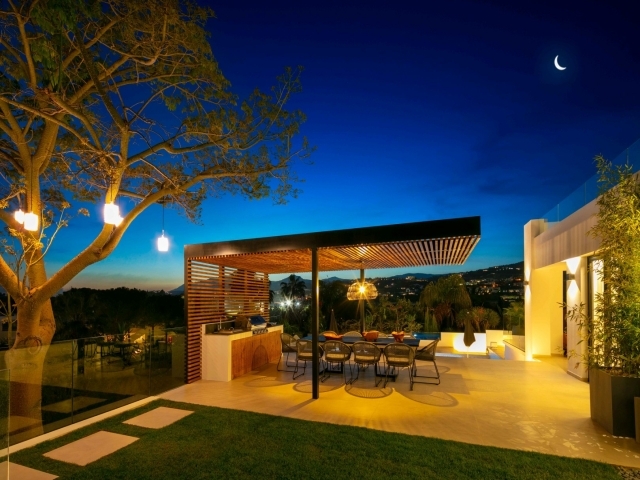 There is generous terrace space including a lovely chill-out corner by the pool, Bali inspired dining area, outdoor kitchen and BBQ. The villa has been designed with a chic contemporary style that oozes sophistication. 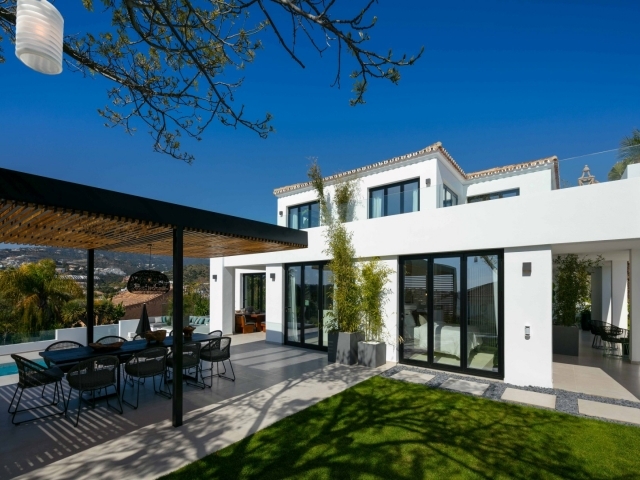 Situated in a picturesque setting in the heart of the prestigious Golf Valley this is an excellent opportunity to acquire a luxury villa in a beautiful spot on the Costa del Sol.